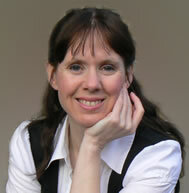 Kathryn Entwistle, UK Career Coach with over 12 years' experience. I've already helped 1,200 people find greater happiness. on the wisest way forward. If you’re concerned about your work or career, or just want more satisaction from your work, don't act until you’ve heard my ‘eye-opening’ free guidance. In addition to helping you clarify your direction, I'll also explain how to find the ideal ‘dream’ career for you- even if you fear you're a lost cause! Best of all, you can access these Seminars easily wherever you’re based, from home or work, as suits you best. Get your place FREE below for a limited period. You may be wondering why I'd choose to give away this valuable info, which other Career Coaches charge hundreds of pounds for? I know that if you sample my methods for yourself in my FREE Seminars you'll get great content, and some listeners will be ready for my full course '90 Days To Your Dream Career' - a dynamic Career Development Programme which integrates Seminars and One-to-One sessions. Don't miss out on this free content-packed seminar series. Simply fill in the boxes below right now to ensure you get a place on the calls. Completing your details below will also ensure you receive (or continue to receive) my highly regarded ‘Noble Pathways Newsletter’ by email for free tools, guidance and inspiration. People who attended previously said . . .
"Wow - that was brilliant Kathryn - so clear, at just the right pace, inspirational and with useful questions to focus on." "I listened to the recording of the first call and it was hugely helpful so thank you very much. It was lovely to have my ideas reaffirmed about not listening to other people's "no you can'ts". . I've passed on your website details to a couple of friends in a similar situation to myself, and recommended that they listen to your seminars. Thanks again for all your support." "I got a lot from listening to the seminar. I had two aha moments . . so thanks very much, look forward to the rest. " I really enjoyed the first two seminars. Each has given me moments of insight and recognition - those 'a-ha' moments – and left me with plenty of things to ponder. I am really looking forward to the third." "Thanks for tonight it was very interesting and I am looking forward to learning more and to hearing the '90 days' programme. I thought that the final story was fab and quite inspiring." "I enjoyed it - it was really interesting and great to be able to sit in my own living room without having to go anywhere!" and sign me up for your FREE Noble Pathways Newsletter by email. Limited places available - reserve yours now. Your details will not be shared with anyone. We dislike spam and junk mail too. Fill in the boxes above to ensure you get a place.